Today, I want to focus on Splenda. Please, let your brain cells come out to play for awhile to absorb the next few paragraphs. Next time you’ll be ready when the slick Splenda/Sucralose marketing team comes calling. 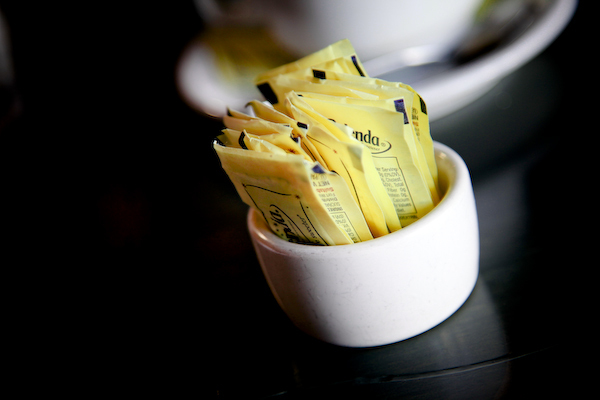 No, Splenda is NOT natural even though it all started with an “innocent” molecule of sugar. Do you really think that the human body was created to metabolize this? Do you really think the cells of your body magically disregard this molecule and that it is harmlessly whisked out of the body with nary a calorie? It is 600 times sweeter than sugar and it is going to cause problems. Your brain is very smart, when the tongue tastes ‘sweet’ it gears up to deal with sweet. How natural does this seem to you? Dr. Janet Starr Hull outlines the process for making Splenda below. I don’t think you are interested in knowing this, but I have to share it for the shock value….and they call this GRAS (generally recognized as safe)? “According to the Splenda International Patent A23L001-236 and PEP Review #90-1-4 (July 1991), sucralose is synthesized by a five-step process. To illustrate the alarming “chemical soup” required to create sucralose, I have listed the chemicals used to produce this sweetener and to secure the chlorine does NOT digest in your body. 1. Sucrose is tritylated with trityl chloride in the presence of dimethylformamide and 4-methylmorpholine, and the tritylated sucrose is then acetylated with acetic anhydride. 2. The resulting sucrose molecule TRISPA is chlorinated with hydrogen chlorine in the presence of tolulene. 3. The resulting 4-PAS is heated in the presence of methyl isobutyl ketone and acetic acid. 4. The resulting 6-PAS is chlorinated with thionyl chloride in the presence of toluene and benzyltriethylammonium chloride. 5. 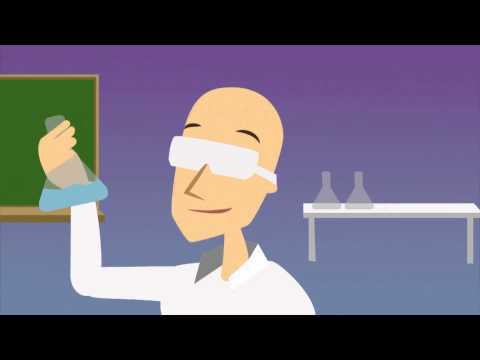 The resulting TOSPA is treated with methanol in the presence of sodium methoxide to produce sucralose. Sucralose is the active ingredient in Splenda, but Splenda has other ingredients. 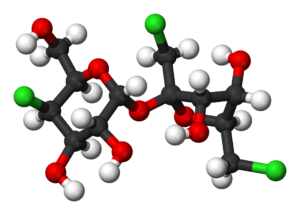 Splenda can contain dextrose and/or maltodextrin (for bulk) and sucralose. Splenda has carbs and calories. One half cup = 12 grams carb = 48 calories. Not alot of calories for a tsp or two, but is not the calories that should worry you. Dr. Joseph Mercola has a book called Sweet Deception- Why Splenda, NutraSweet, and the FDA May Be Hazardous to Your Health. If you like artificial sweeteners, pick up a copy of this book soon. It is hard to overlook the laundry list of symptoms that people experience with Splenda. A Purdue study showed that rats fed artificial sweeteners craved more calories than rats that didn’t get the artificial sweeteners. Be an educated consumer. Just because the FDA says it is safe does not mean that it is safe. Looking for safe ingredients to sweeten up your life? Check out my healthy dessert recipes.